With stunning scenery at every turn, West Penwith really does have it all. Cornwall might be able to boast stunning natural beauty at every turn, but arguably nowhere has quite the range of beauty that can be seen across Penwith. With sheltered coves, cliffs of rugged granite and moorlands etched with purple heather, Penwith is the mecca for walkers, photographers, artists, foodies and those who simply want to stand and soak in the scenery. There are so many stunning spots for a hearty stroll that it’s often hard to choose. 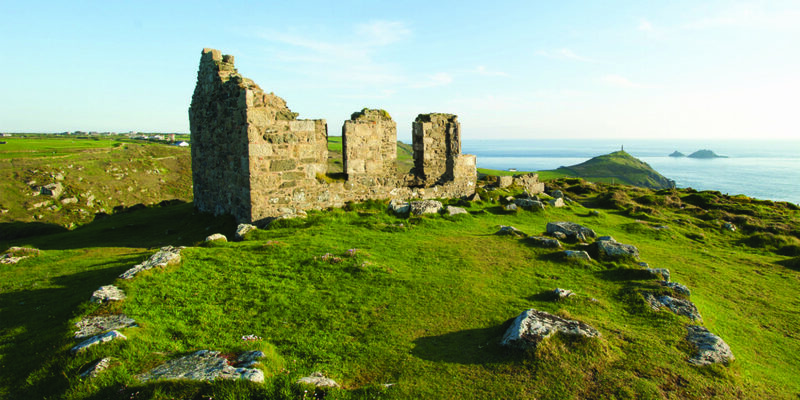 You can embark on a ramble up and down the wild cliffs of Zennor and play hide and seek with the little ones amongst the outcrops of granite before peeling off and walking across the ancient patchwork of fields behind. Gwithian offers an ideal place for children and dogs to run free and play amongst the undulating dunes. Or, spend a balmy day walking the coast between Lamorna and Porthcurno, home to the Telegraph Museum; a stretch so beautiful that stopping at every headland is a must, not an option! When out on your walks make sure you keep an eye on the beautiful blue seas as you might just spot a seal or even a basking shark. Of course, during your walks, you will undoubtedly notice the incredible beaches and coves nestled within the coastline. Indeed, popping down to a beach during your walk is not only an ideal reprieve from the sun overhead but a chance to find a barely occupied stretch of sand. The further off the beaten track a beach is, the more likely you are to enjoy it all to yourself! There is nothing like lying on a deserted beach with cliffs standing tall behind you and crystal blue waters glistening ahead – just remember to take care wherever you venture, and don’t find yourself cut off by the tide! Some of the top beaches in the county for surfing can be found along this diverse coast. 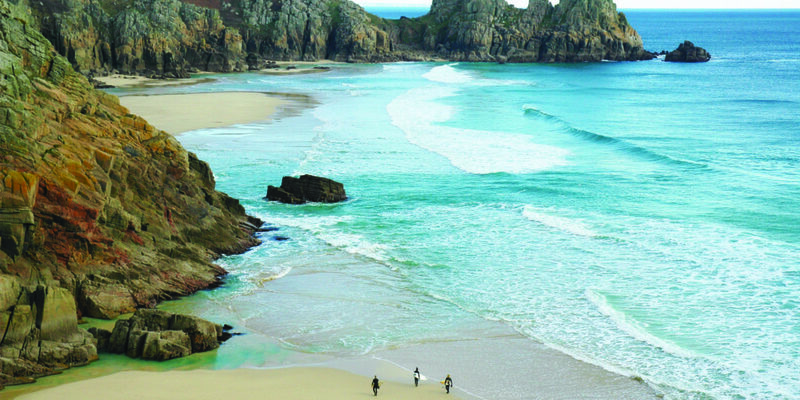 Sennen Cove is an ideal spot for surfing as not only is there a variety of waves ranging from two feet in front of the car park and six feet at the Gwenver end, but the showers and restaurant overlooking the beach make it an ideal day out. Gwithian is another popular surfing spot as the long stretch of sand means there is space for everyone and when the wind is just right it’s ideal for windsurfers. From exciting things to do we move onto incredible things to see. Indeed, Penwith boasts some truly iconic Cornish landmarks. 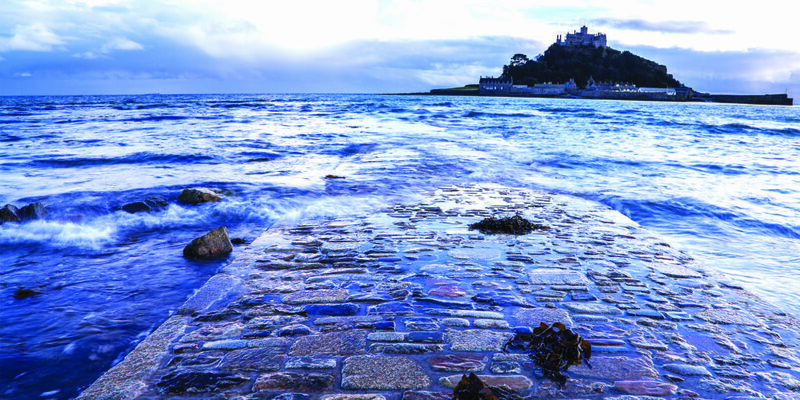 Marazion is home to the impressive St Michael’s Mount, which can be accessed via the causeway when the tide is out or by boat when the tide is in. Further around the coast, you’ll find the famous Logan Rock still balancing steadily on the headland. Continuing around the cliffs a bit more you can catch a play at the amazing outdoor amphitheatre, Minack Theatre, which is nestled in the side of the cliff above Porthcurno. And, of course, no Penwith trip is complete without standing at the Land’s End headland with the Atlantic stretching before you and Cornwall at your back. Indeed, if you plan your trip to Penwith wisely, you can squeeze quite a few of these sights and experiences into a single day! Spend a day walking the cliffs, catching the landmarks as you go, with the odd dip in the sea to refresh you, visiting the world-class galleries, before ending with a meal at St Ives, a show at the Minack Theatre or a drink in Marazion overlooking St Michael’s Mount. There really is something magical about this corner of Cornwall, and not just due to the local legends of mermaids and giants. The scenery is as wild and dramatic as we read about in novels and yet it is completely accessible. With such scenery on our doorstep it is a wonder we get anything done!